ครูเซ็ท เชีย บัทเตอร์ ซอฟท์ อี บอดี้โลชั่น 80/120/200 มล. 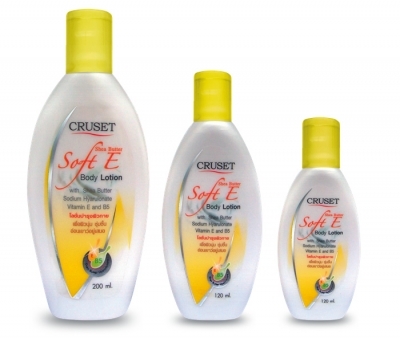 Cruset Shea Butter Soft EBody Lotion 80/120/200 ml. Blends with moisturizers and vitamins, deliver skin hydrating and soft smooth touch feel. J1010080C100UT Shea Butter Soft E 80 ml. J1010120C100UT Shea Butter Soft E 120 ml. J1010200C100UT Shea Butter Soft E 200 ml.